I have the great pleasure of being able to work with, coach and consult for some of the very best fitness professionals in the world. I get to see what is working in the industry before it becomes trendy, what is trending downward before it is obvious to the rest of the world, and, most importantly, what the most successful fitness business owners are doing to grow their businesses. I get asked a question on time management at least once a day. At least! It seems to be the Achilles heel of just about every entrepreneur. There isn’t enough time in a day to get it all done. Coaching, admin work, sales, follow ups, planning, marketing….. the list goes on and on. So, over the past week or so I have been thinking about what do the most successful entrepreneurs do on a daily basis. Could I create a 24 hour blueprint for success? It isn’t easy, because everyone’s day is a bit different with his or her schedule and time commitments. However, I did figure out that there are certain things that you must do as a fitness business owner to make sure you are successful each and every day no matter how you lay out your schedule. These tasks might seem basic, and they are, but that is really all you need to focus on to operate a very successful personal training business. The most successful entrepreneurs in the world don’t bank on hitting a home run with each promotion or marketing promo they run, they make sure to do the basic things consistently. Not just consistently, but consistently at the highest level. This checklist isn’t the sexiest strategy for running your fitness business but it promises to help you build a better business. Making sure that you follow this plan every day will ensure that you are getting more clients and making money than ever before. So, let’s break this list down so that you can see the power in simplicity. Referrals are the best leads you can possibly get, why not try to get more of them so that it makes your job easier. Referrals are pre-qualified and much easier to sell. That means that you have more time and energy to focus on delivering a great experience than chasing down a lead and trying to covert them into a client. How many referrals did you get last month? Go ahead and check. If you don’t know, didn’t track or didn’t get enough to count then you aren’t doing your job as a fit ness professional or you need to take a good look at your service. When you are delivering solutions to your clients problems and creating a great experience for them in your programs it should be easy to get referrals. There are dozens of strategies to get them, so pick one and make sure that you are getting at least one referral a day. One referral a day is 25 a month if you only work on the weekdays. If you get 25 referrals a month you should be able to get at least 20 of them to become clients. Think about the change your business is able to make if you get 20 new clients a month! Not to mention that the more referral business you get the higher the awareness is in your business that you expect referrals. When you have a culture of referring in your business with your clients getting referrals becomes much easier. It is like an unwritten rule that everyone should be referring. So, make it your mission to get at least one referral a day. You are taking an interest in THEIR experience and showing that you truly care about what they are getting from your business. The problem is you have to be ready to deliver on this experience. Don’t ask if you don’t want to know the answer. If you already deliver a great experience then you will find lots of great opportunities to add value to the client experience and also make sure that these clients that you are talking to feel very special. When you go out of your way to make sure your clients are getting the best possible experience they feel a deep connection with your business. These connections are what keep clients around for a long, long time. The other great aspect of this question is being presented with more opportunities to ask for referrals, give the client more of what they need to get great results, and all of this leads to more money in your pocket. Take care of your clients and they will take care of you. Most fitness businesses have a pile of leads that have been collected over the past several months that never get a second follow up. If they aren’t able to reach the lead on the first try they simply move on to the next lead. This is a BIG mistake…. You should keep a database of all your leads and at the very minimum these leads should go into your newsletter or email marketing system so that you can stay connected with them. If you are proactive you will work to collect as much info about those people as possible and then continually following up and making them offers to your challenges, contests and promos. You never know when a person might be ready to buy or what type of promotion will hit strong enough on their emotions to get them to join. If you called and PERSONALLY emailed these unconverted leads each time you have a new offering you will get 10% of them to sign up. If you collect enough leads you will have a good number of people moving into your front end offers from this alone. Don’t let the leads that you work so hard for slip by the way side and forget about them. Over deliver on your service and continue to develop a relationship with them either online or personally to find out how you can be their fitness solution. A lot of the activities on this task list are intertwined. They go hand in hand together. For instance if you get a referral that can count towards your three leads, so if you want to make it easy on yourself get three referrals! If you have enough strategies in place for lead generation it should be easy to get three new leads each and every day. How would your business change if you had 60 new leads to work with each month? The leads can come from Facebook, email marketing, or referrals. It doesn’t matter but you have to proactively go out and seek three new leads a day. Trying to get 60 leads might seem overwhelming but stringing together a month of getting three leads a day doesn’t seem too difficult of a task to complete. Warm introductions are a powerful thing. Getting introduced to other people’s network is one of the most valuable things you can do for your business growth. All you are looking for is for someone that you know to introduce you to someone they know. When they do it is your job to find the opportunities. People can do one of two things for you in almost any circumstance. They can connect you to someone or they can open the door for an opportunity. The more people that you know that can connect you the better opportunities that will present themselves. This is the most abstract item on our list. It doesn’t have a specific outcome other than to be introduced. After that the ball is in your court and it is your job to develop and nurture that new relationship to see how you can add value to what they do or if there is an opportunity. The key here is adding value to that relationship and not just trying to sell yourself to everyone you meet. A Success Session is our version of an assessment. It is your chance to develop rapport, build value and provide a solution for the person sitting with you at the time. During the Success Session it is your job to find out what the client wants and provide them with the solution. If you know that it is your goal to get at least 2 Success Sessions a day, even if you only close at 50%, you are going to get 1 new client a day. Again, this is a game changer for your business. Consistency here is key though. You have to be aggressive about getting leads and booking them for Success Sessions. If you don’t get enough leads you aren’t going to be able to get enough Success Session, which in turn won’t allow you to get enough new clients. It all comes down to this! All of the lead generation, referral collecting, and relationship building is geared towards being able to allow you to sell at least one new memberships a day. No matter what you are doing in your business it should be your goal to sell at least one thing per day, hopefully this can be a membership! If you aren’t selling your services to people this frequently and you truly consider yourself the best at what you do in your area you should consider your self negligent. If you are the best in your area at what you do and you aren’t making sure that the people that need what you have to offer are getting your services, your solution to their problems, then you are doing them a disservice. In the fitness industry we have to get away from the fear of sales and look at sales form a different angle, one where it is all about adding value to people’s lives! So, go out and start providing your solution to those that need it! There it is, a simple 24 hour blueprint that you can use to help completely transform your business. If you put this program in place for 90 days you are guaranteed to drastically improve your business. 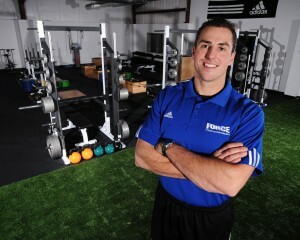 Over the past several years my partner Wil and myself have grown a small business in a small town into “THE FITNESS EXPERIENCE” in our area. Ryan has accomplished the entrepreneur lifestyle and built a business that allows him to now focus on helping other fitness business owners grow their business and achieve the same success. As the VP of Business Development Ryan is working hands on with hundreds of fitness professionals, creating resources for their development and overseeing the Success Team of Fitness Revolution. If you would like to get an inside look at how Ryan coaches you can check out the 52 Week Mentorship program. 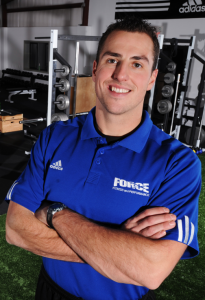 Ryan Ketchum is the Co-Owner of Force Fitness and Performance in Bloomington, Indiana as well as VP of Business Development for the Fitness Consulting Group.